Sake tasting at the 2010 Sake no Jin festival in Niigata, Japan. I’m SUPER excited to see that the Japanese government is finally taking steps to protect sake. 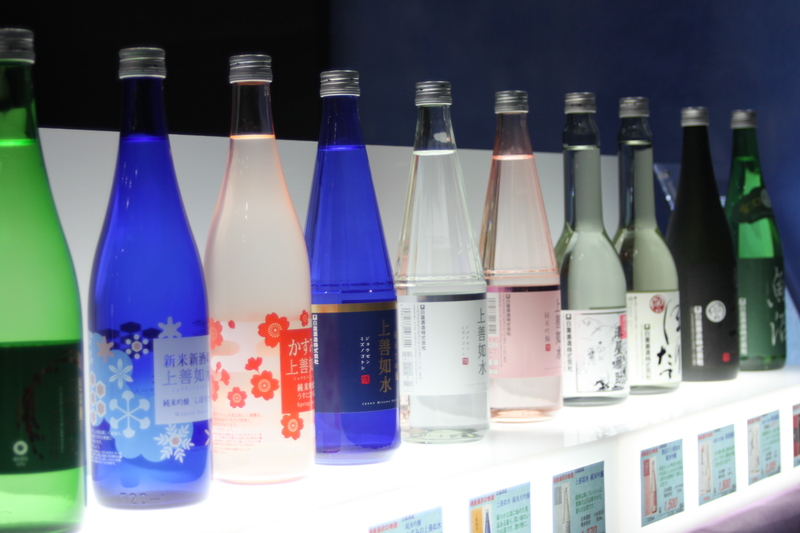 By the end of this year they will be making it official that Nihon-shu or Japanese Sake ONLY COMES FROM JAPAN! Read all about this exciting development below, or link through to the original article here. Japanese sake is to be branded geographically just like Scotch whisky and champagne in an effort to cash in on the overseas Japanese food boom and stave off cheap foreign imitations. “Nihonshu” status is to be granted to sake brewed in Japan using local ingredients such as rice and water. The Finance Ministry is set to approve the plan by year-end as part of the government-led “Cool Japan” strategy. It will deal a blow to foreign producers of the alcoholic beverage that are starting to flood the market with cheaper variations to meet increasing worldwide interest in Japanese cuisine. Under the plan, the commissioner of the National Tax Agency will give geographical indication status to the brew if it is made in Japan, which will prevent overseas brewers from advertising their products as “Japanese sake” in World Trade Organization nations. Member states of the WTO, including Japan, have to protect products that have been given geographical designations by not publicizing goods made outside the official areas. Famous examples of drinks with such geographical status are Scotch whisky, which is distilled in Scotland, and champagne, which is made in Champagne, France. Japan will also be able to demand member nations crack down on sales and manufacturing of products violating the ban as well as levy fines against offenders. Production of sake brewed with locally made rice has recently been rising not only in the United States and Brazil, where many people of Japanese origin reside, but also in Canada, China and elsewhere. It is said that 80 percent of sake sold in the United States is produced there.